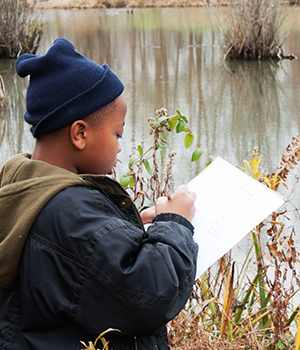 Let nature be your classroom! 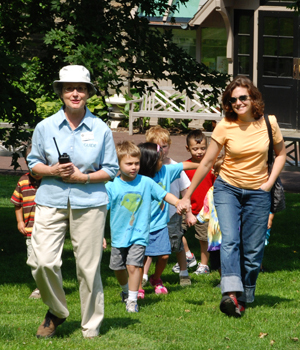 Please note: At least 3 weeks advance notice is needed for guided tours. 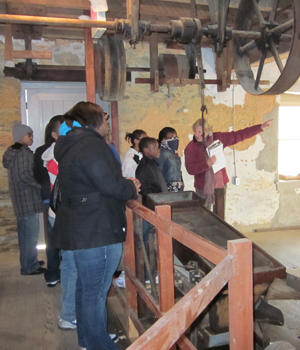 To schedule a field trip or youth tour, please fill out our Group Tour Request Form and a member of our staff will contact you to arrange a date. All Title 1 eligible school groups will be admitted free. A $100 deposit, paid by check or VISA or MasterCard, will hold your reservation, and will be refunded on the day of the visit. In the event of cancellation, a full refund is available when cancellation notification is received by 5pm the day prior to the visit. 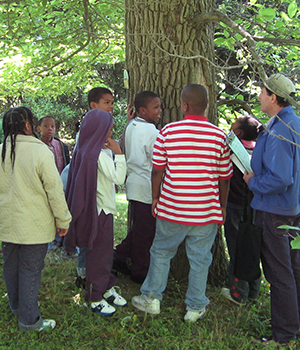 Space is limited, so schedule your field trip now. 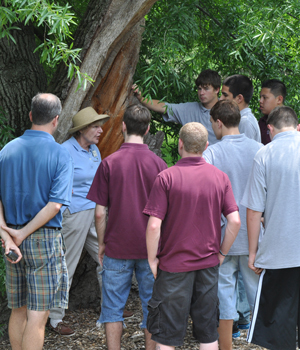 Select a tour from the list below, or we would be happy to tailor tour programs to fulfill your specific curriculum or scouting needs. 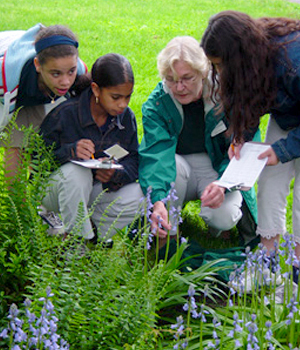 Morris Arboretum provides the perfect resource to help complete many nature-themed Boy and Girl Scout badge requirements, including Forestry, Nature, Flowers, Trees, and more. When scheduling your tour, please feel free to include your particular project needs. 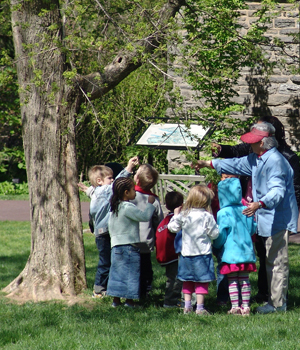 We’ll be happy to tailor our many tours and activities to help fulfill specific badge requirements, making your trip to Morris Arboretum both fun and productive. 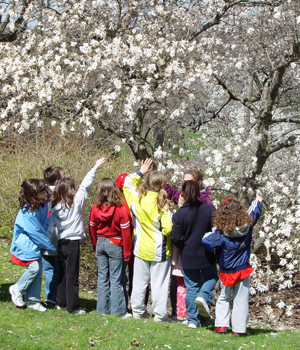 Scout groups with tour reservations will receive the Morris Arboretum Fun Patch! 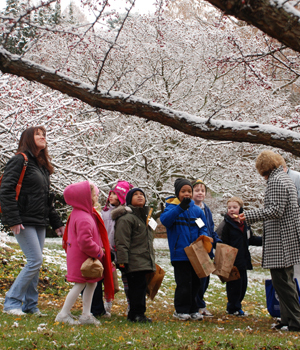 Celebrate the Jewish New Year of Trees, Tu B'Shevat! This program takes place annually in January, please call for specific dates. 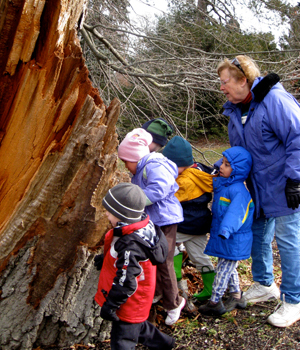 This program takes place both indoors and out and includes an interactive exhibit on trees, a take-home seedling planting project, and a short walk outside to discover how important trees are to people. 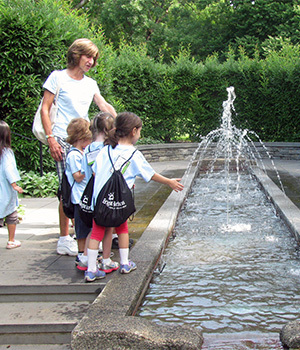 This program is offered to pre-school and school age groups through grade 4, at 10:00am for weekday programs and at 10:00am and 11:30am for Sunday programs. Reservations are accepted after November 1. 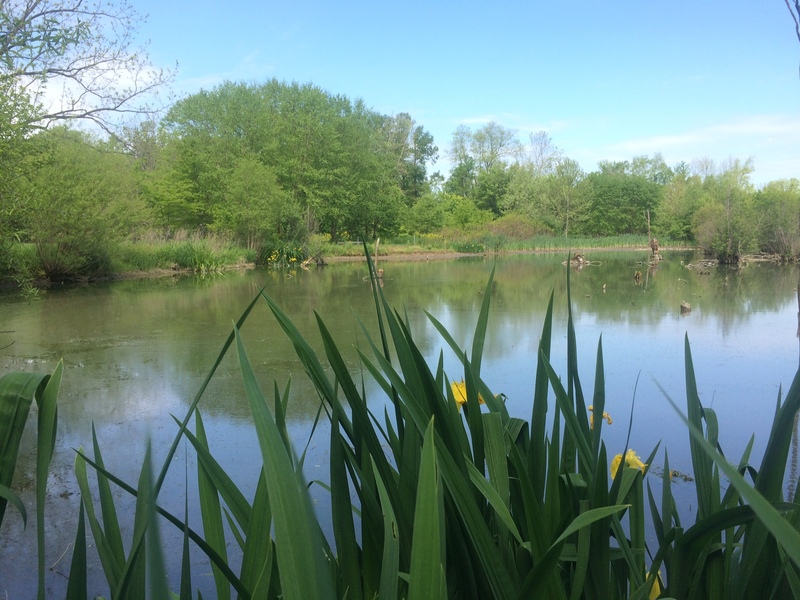 Meets PA Academic Standards: 4.1 Ecology; 4.2 Watersheds and Wetlands; 4.5 Humans and the Environment.